The 850 is a particular favorite of ours here at TTS, primarily due to the bizarre nostalgic connection going back to our early childhoods and the fact that both of our Dads drove them. Beyond that, though, they are pretty neat cars in their own right, and certainly not something you see every day.. week.. month… Interestingly, though, values are headed pretty substantially north of where they were when we first labeled them as “disposable sports cars” some several years ago. That probably has more to do with $80,000 plain Jane Porsche 911s than with the inherent quality (or lack of) that these cars offer. 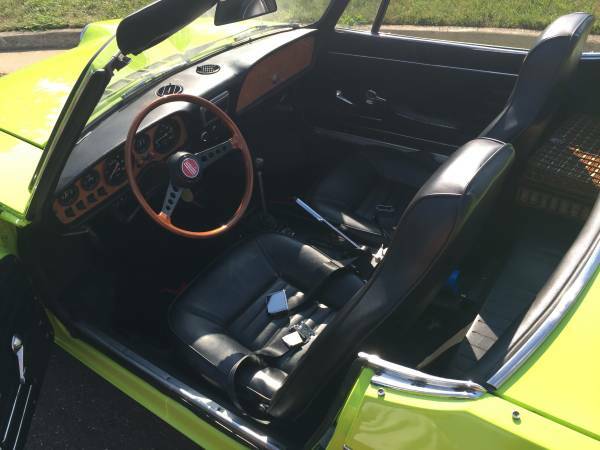 Still, there’s something to be said for a Bertone-designed sports car that you can toss around all day long and pull the engine in about 15 minutes when you get home. And unlike it was not that many years ago, parts are pretty darned easy to come by. Heck – the smart money would probably just keep two engines. When one craps out, just plop the other one in. I’ve done it. It really is that simple. So about that price. I last sold an 850 in 1999 for $2,400. It was a decent little car, but things just didn’t quite fit right and there was more rust than met the eye. 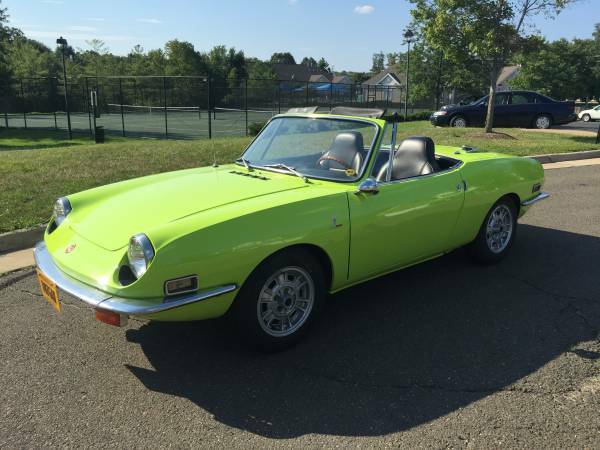 I like that this seller describes this as an 8/10, because I don’t care what anyone says, there is no such thing as a 10/10 Fiat 850. Brand new they were only about a 7/10, so do the math… When I sold mine, this would have probably been about $4,500 in comparison, so when you factor in inflation and the general collector car market, I’d argue that this still represents a pretty good value, so long as you’re not expecting Miata reliability or Porsche performance. If you like buzzing around the backroads on the weekend in something that pretty much nobody else has, then this could be your ticket. Just don’t expect to carry a lot of groceries. 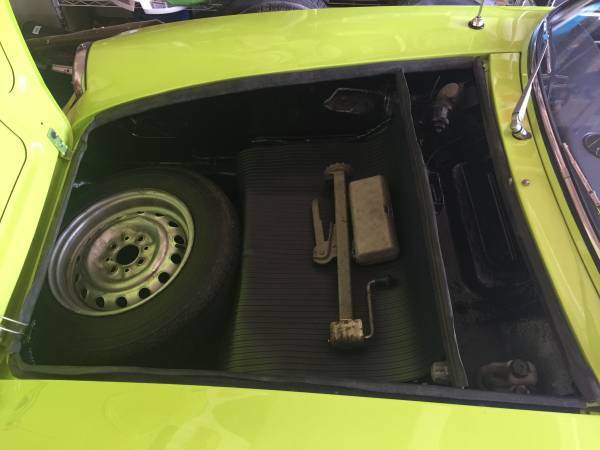 This entry was posted on Friday, April 15th, 2016 at 3:05 PM	and tagged with Bertone, Fiat 850 Spider, Italian Cars, Miata, Porsche, Roadsters and posted in Disposable Sports Car, TTS Quick Pick. You can follow any responses to this entry through the RSS 2.0 feed. « What Should Junior Drive? Rarely. 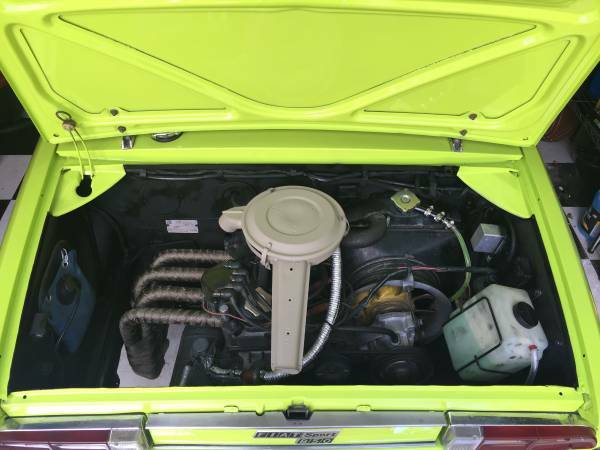 If we write about our own cars we say so.